St James The Great RC Primary and Nursery School is located in Thornton Heath, Surrey. St James The Great Primary School’s colours are navy blue with a green and yellow tie, which matches with the school’s colourful emblem, which also features on the school’s class of 2017 leavers hoodies. 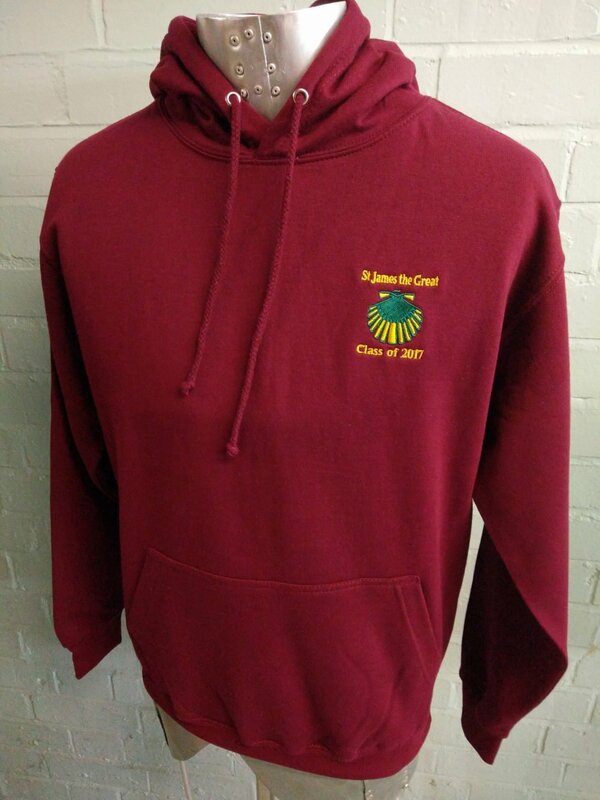 In contrast to the navy blue that is dominant in the school’s uniform, St James The Great Primary School’s leavers hoodies are burgundy. 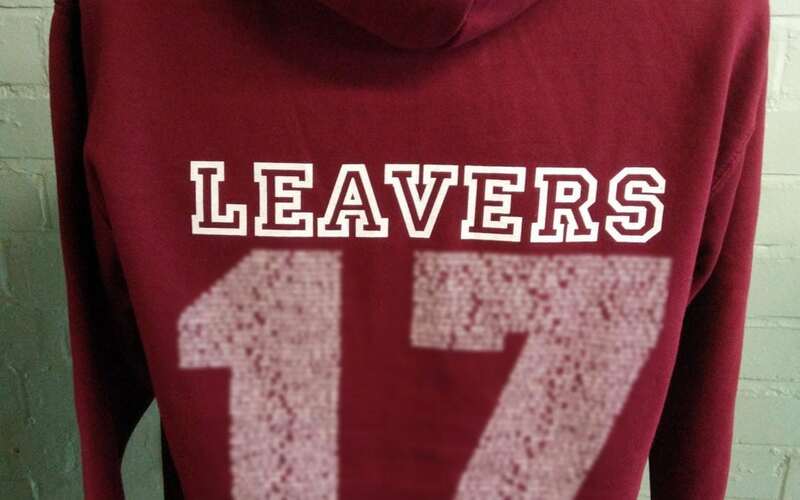 As well as featuring the school’s emblem on the front, the names of the students within the class of 2017 leavers are printed on the back of the hoodie, in the shape of the number 17, beneath the word ‘Leavers’. Further personalisation is added through use of students’ individual names, which are printed on one sleeve of the leavers hoodie, in white. 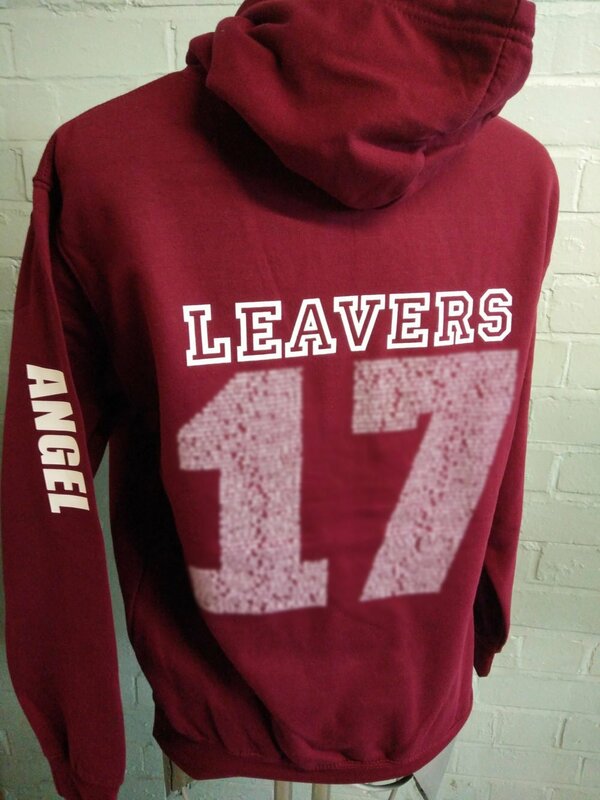 It’s really easy to create a highly personalised leavers hoodie for your school, whether you choose to keep the colour in line with your school’s uniform or not, we have pretty much every colour you can think of available. For more information, view our product pages, or get in touch on 01858 461 686.